After winning the State Cup, Hapoel Jerusalem also triumphed in the League Final Four, reaching the championship title for second time in history. 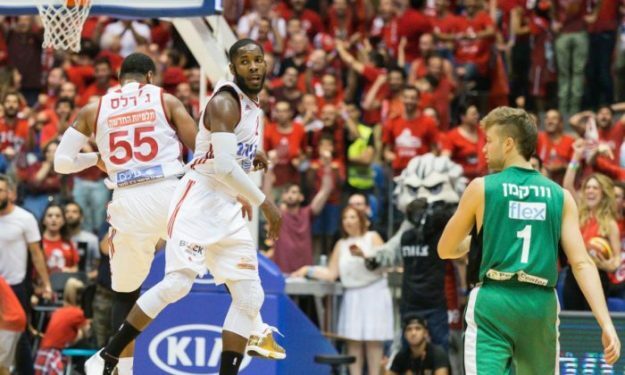 Hapoel Jerusalem won the Israeli League title after beating Maccabi Haifa 83 – 76 in the Final that was held in “Menora Mivtachim” arena of Tel Aviv. Jerome Dyson had a monster season-high performance to lead his team to the second league title in the history of the franchise with 30 points, six rebounds and five assists, injecting most of his output during the second half. That was when the Jerusalem squad got the upper hand. With the score 41 – 41 at the break, coach Pianigiani’s players dominated the third quarter 24 – 11, grabbing a lead which they never let go for the remainder of the match. Gregory Vargas’ 30 points and six assists weren’t enough for Maccabi that failed to keep up with its opponents after halftime. Curtis Jerrells also provided valuable helps to Hapoel with 21 points plus five assists while Tarence Kinsey scored 16. On his way to winning the first championship title of his career, Amare Stoudemire dropped six points and grabbed seven rebounds in 14 minutes.